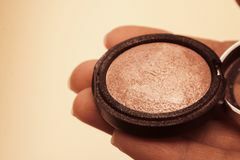 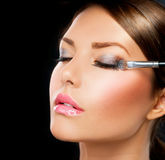 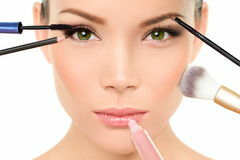 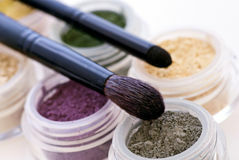 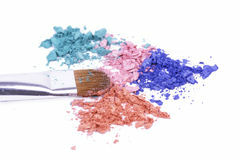 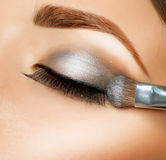 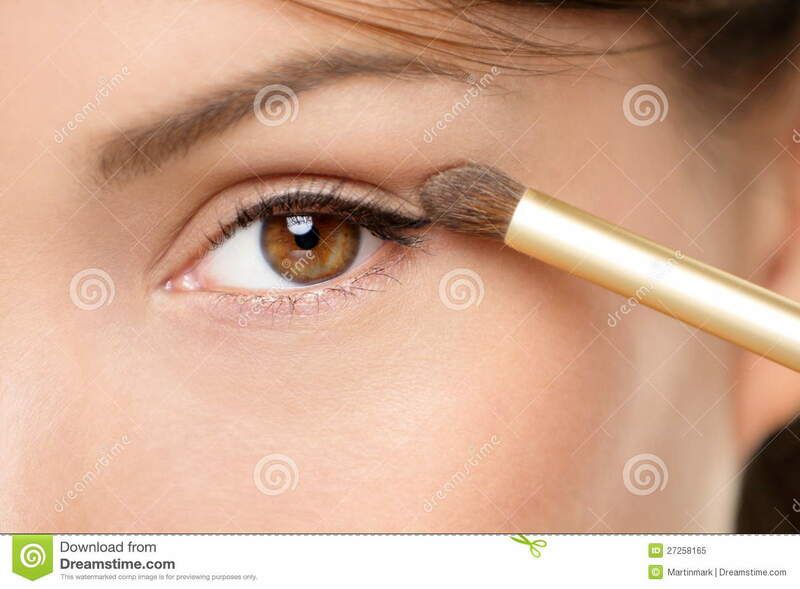 Eye makeup woman applying eyeshadow powder. 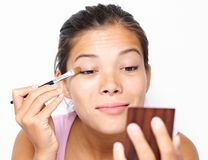 Eye makeup woman applying eyeshadow powder. 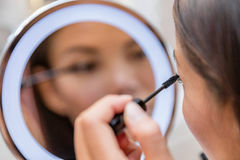 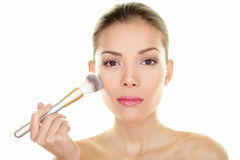 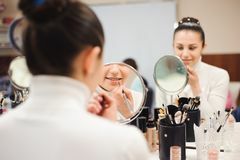 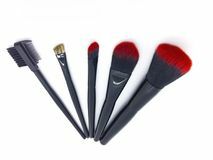 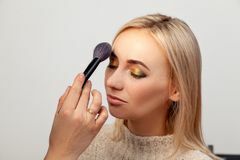 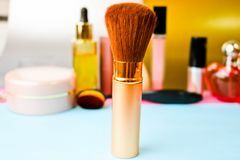 Woman putting shadow powder on eyes with makeup brush. 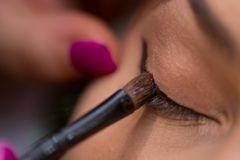 Closeup of eyelid and eyebrow.